The tunic is a classic part of any medieval attire, making this piece a great choice. This Short Sleeved Medieval Tunic is as fine an addition to a medieval mans attire as he could ask for, thanks to its subtle touches of detailing. This tunic is designed with a long length, falling about as far as the knee, just as old-world tunics did. The tunic is made from cotton fabric to make it both durable and comfortable. The hem is split on the sides and front, to allow for easier movement, and it also features touches of decorative trim, on the splits of the hem, around the sleeve cuffs, and at the neckline. The trim is black, while the pattern matches the color of the tunic. 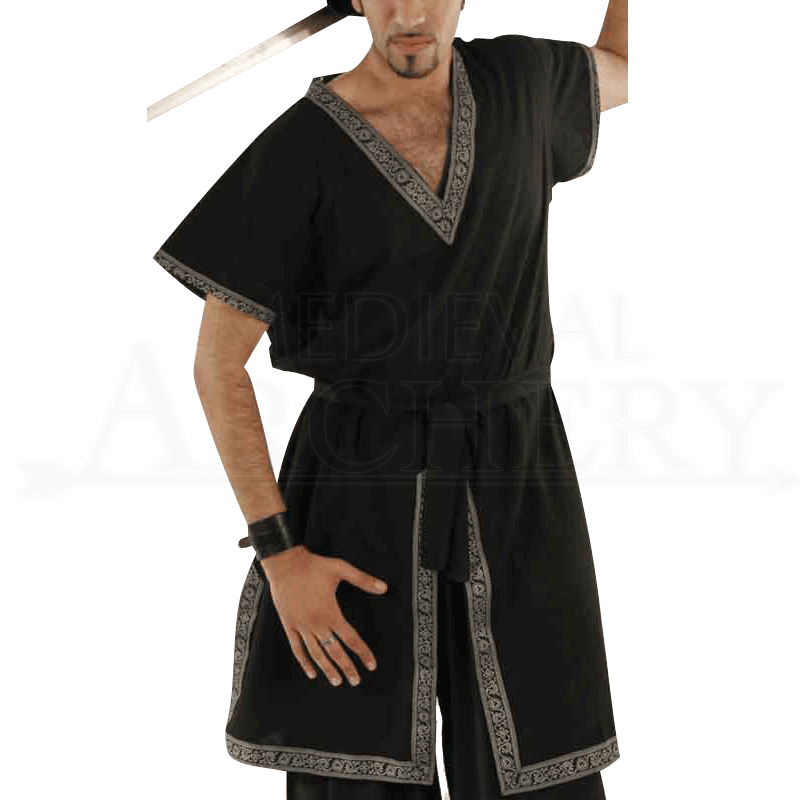 The basis of a good medieval outfit hinges on the basics, and a good tunic is a basic necessity. 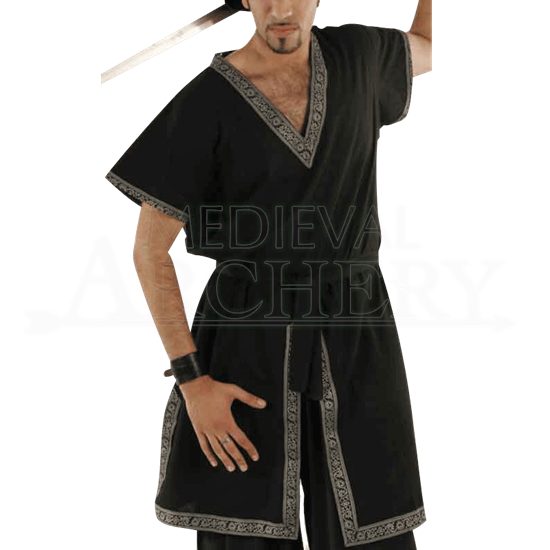 Luckily, this Short Sleeved Medieval Tunic is one that any guy can wear with ease, and one that will prove to be a solid foundation on which any medieval man can build a variety of different looks on. I love the material/trim and the design of this tunic. Purchasing from this site is awesome! My purchase arrived right on schedule and was exactly as the picture showed. Well-made with no loose seams and fabric that was comfortable to wear. Would definitely recommend this website to others, as the price definitely pays for the quality.